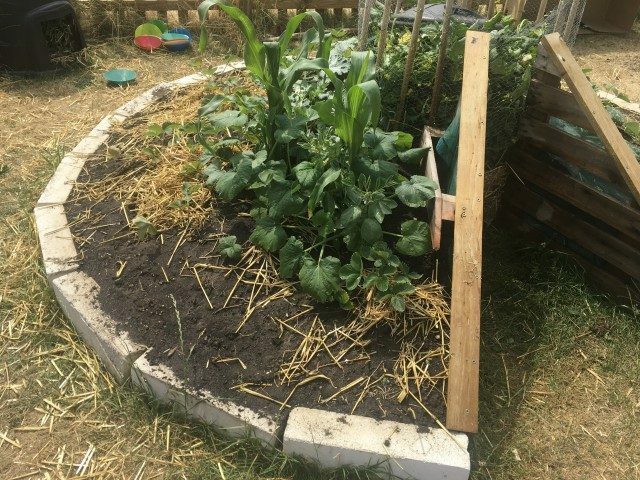 Thanks to Mr Swan, Andy, Michelle and Heigham class for getting stuck in in the garden. 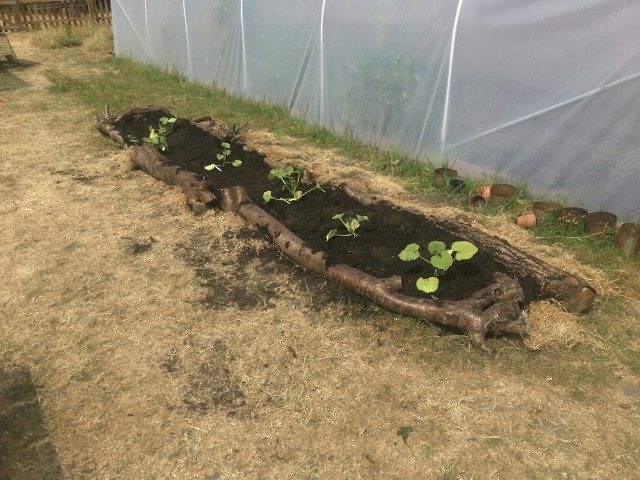 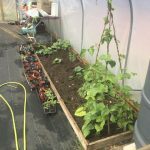 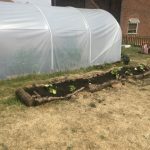 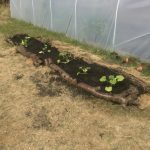 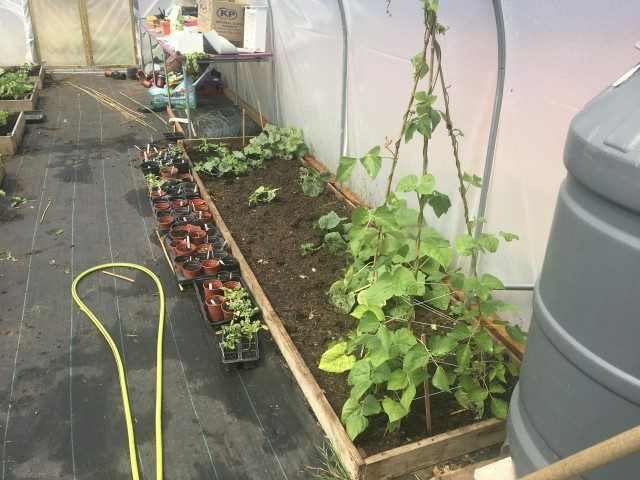 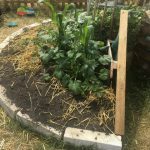 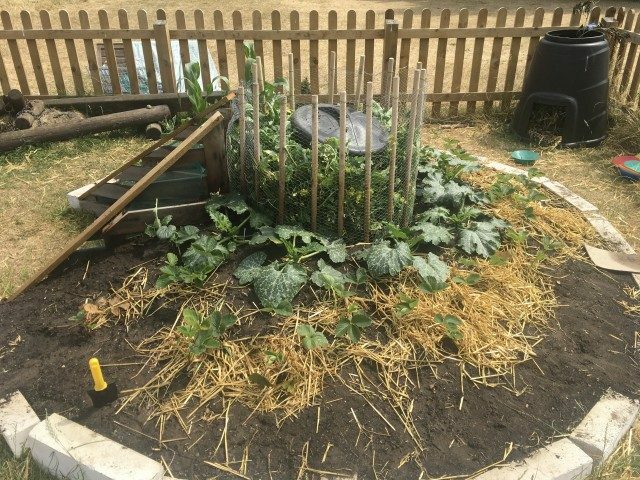 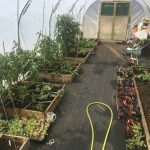 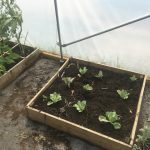 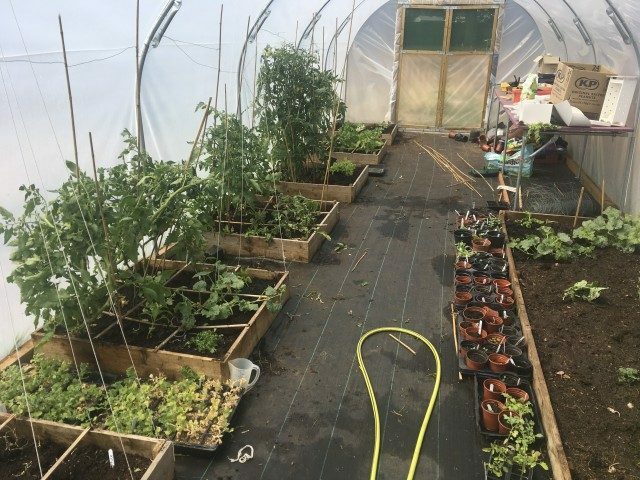 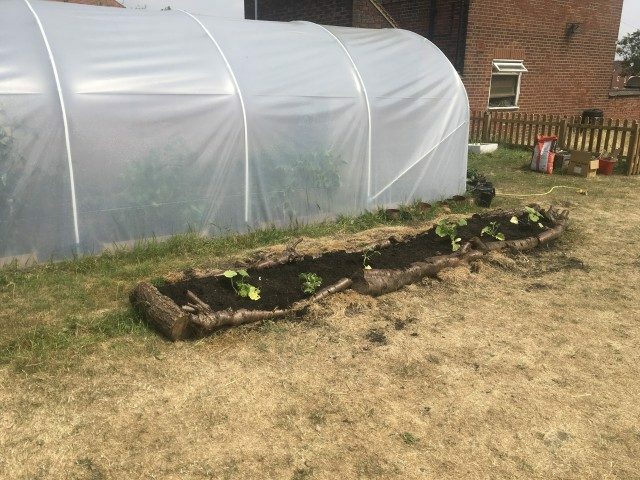 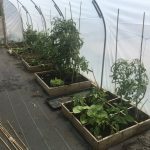 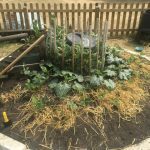 Bolted salad was picked, tomatoes thinned and staked, cabbages planted, and squash plants put into the the new bed outside the polytunnel. 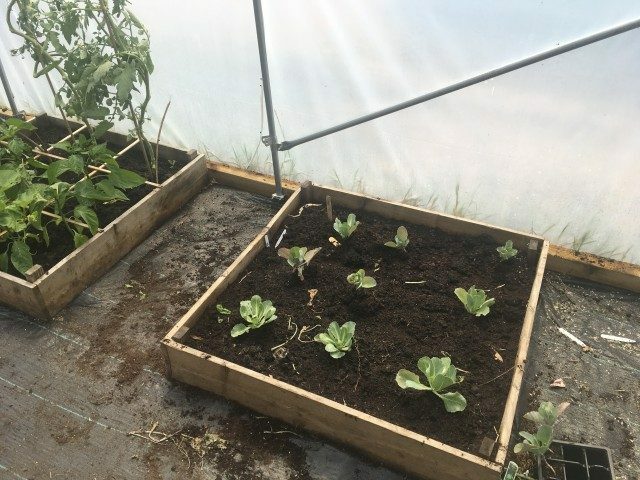 The crops in the keyhole garden are also coming on. 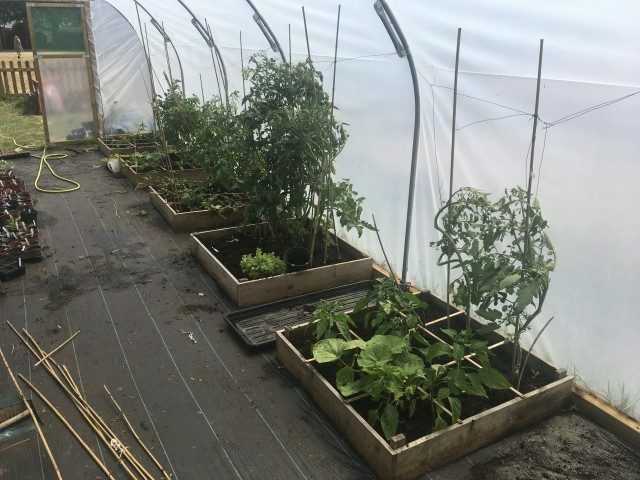 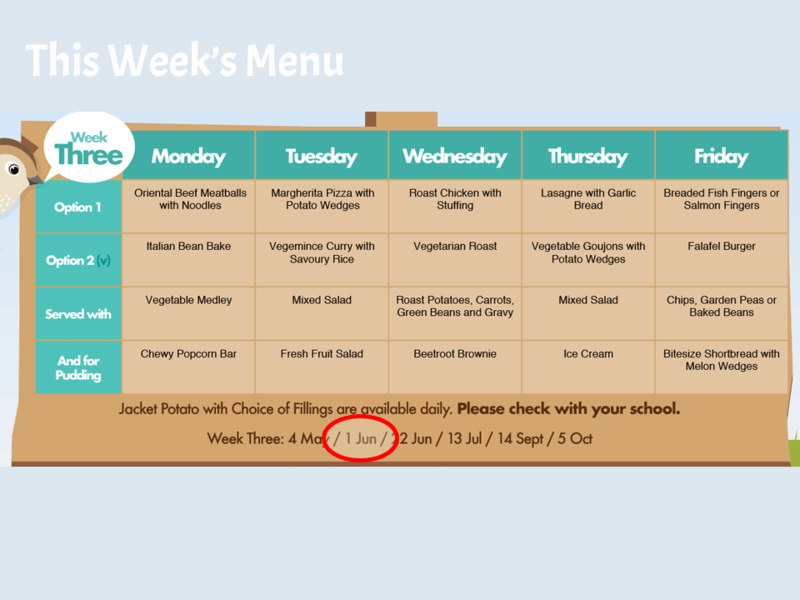 Our main aim is to get autumn harvest crops in so they can be used in cooking from September.